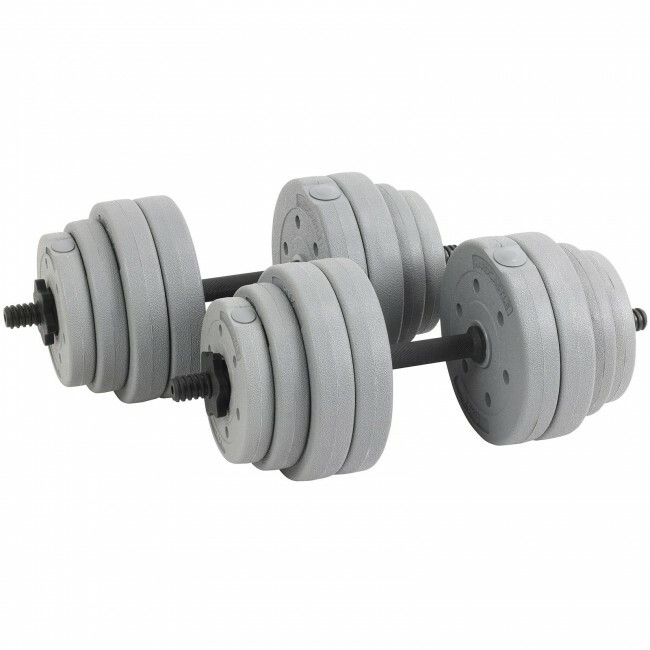 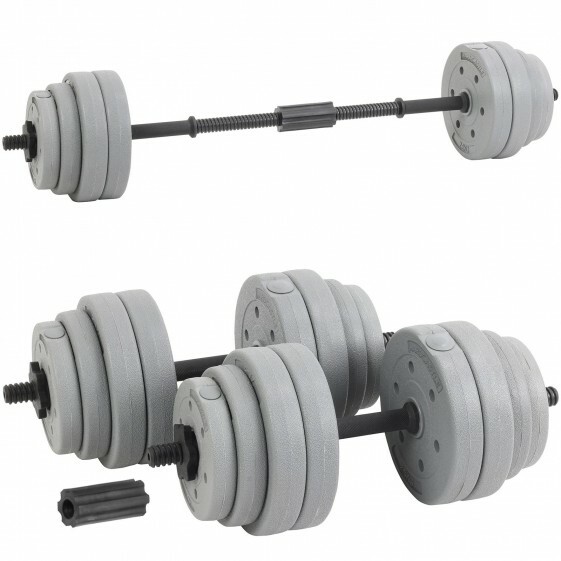 Train at home with everything you need to build muscle using our Adjustable Dumbbell Barbell Set in grey. 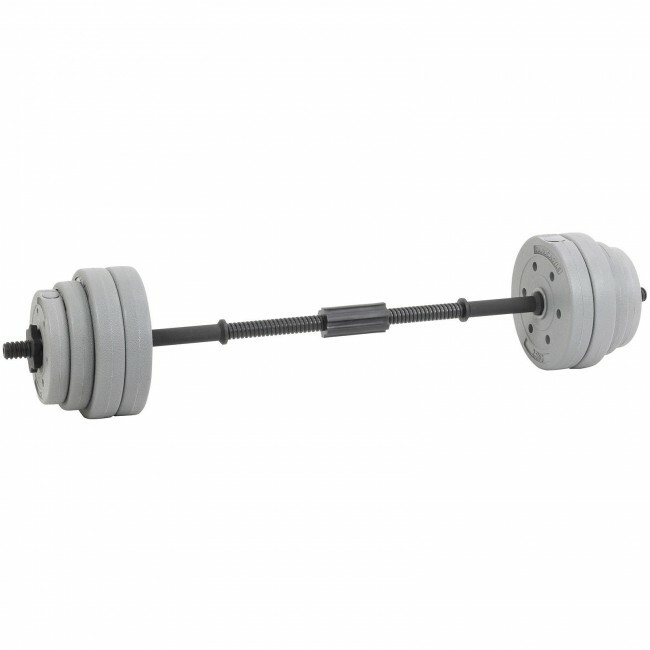 The dumbbells fit together to form a barbell, allowing you to perform a variety of exercises. 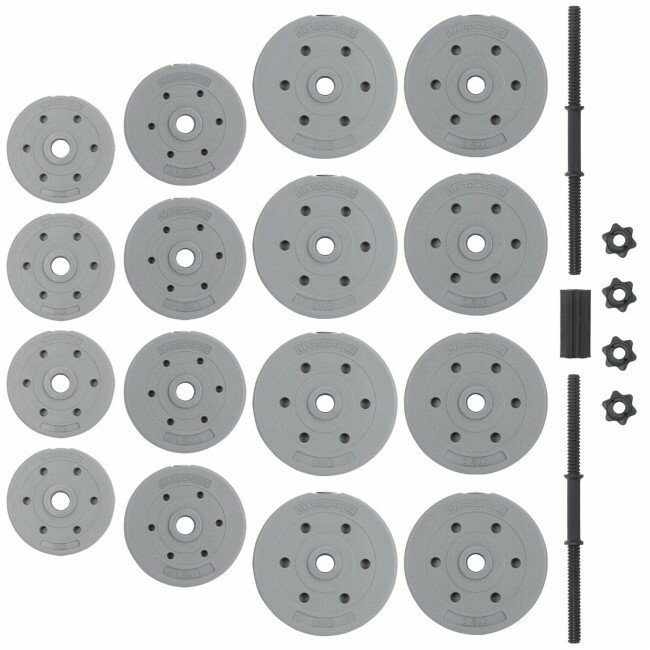 Includes weight collars to keep plates secure.